The metrics calculations are based on nearly 3 billion views. The stats are collected from 2600+ media servers (Nimble Streamer and Wowza). Protocols share remain stable, i.e. 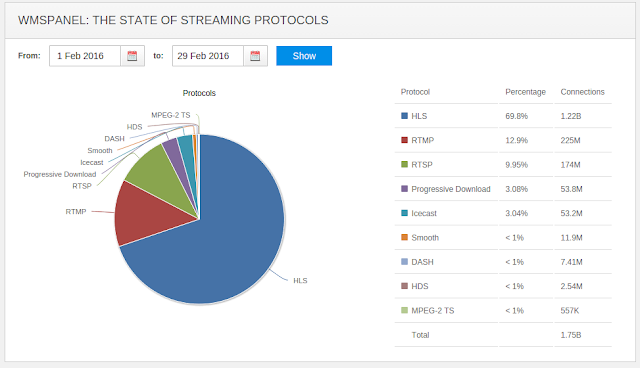 HLS share is about 75%, while RTMP and RTSP share decreased significantly. The State of Streaming Protocols March, 2016.